It is Phakchok Rinpoche’s wish for all to have access to the precious Dharma regardless of where they live. For this reason Rinpoche has devoted a great deal of time and energy to produce and offer online teachings. 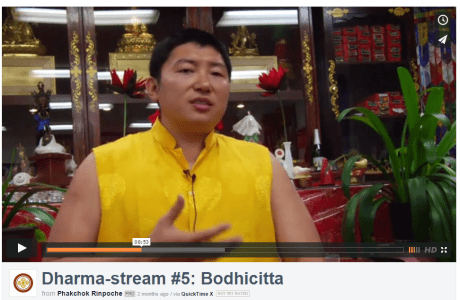 Dharma-stream is a fortnightly broadcast of Buddhist teachings taught by Rinpoche and designed to be presented within a group environment. It is Rinpoche’s wish that his students gather their Dharma-friends together, watch the teachings, meditate and discuss the topics together. 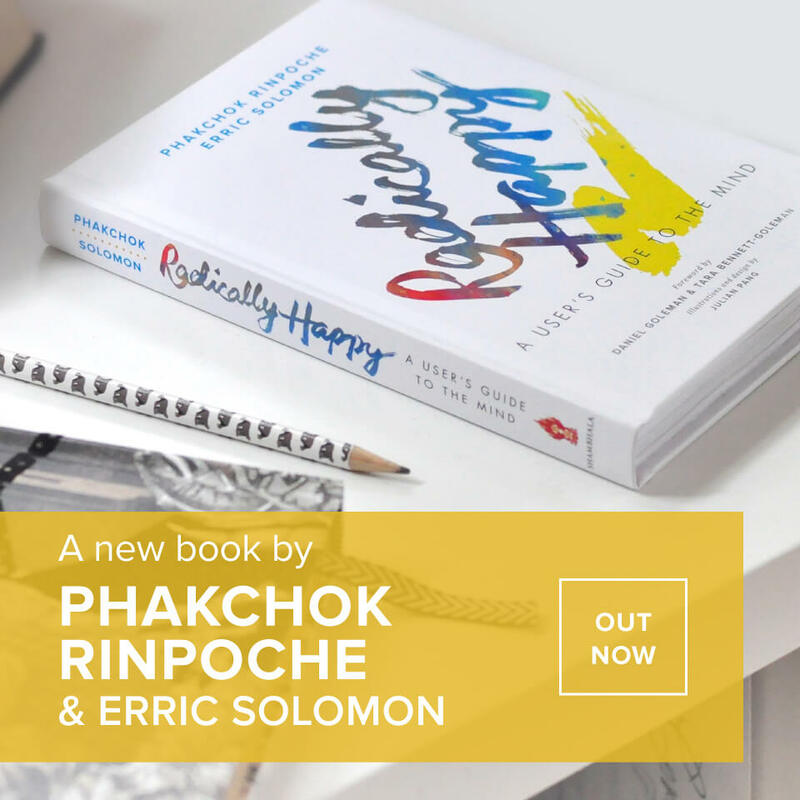 This is a unique way of being in contact with Rinpoche to receive precious teachings on an ongoing basis. These teachings are presented in a step-by-step manner, becoming more and more profound over time. The first series of teachings within the Dharma-stream is entitled “Dawn of Dharma“. Rinpoche has requested that all his students study this series, regardless of Dharma experience. Later Dharma-stream teachings include “The Eightfold Path of Mind-training” and “The Jewel Ornament of Liberation“. In order to view the Dharma-stream teachings, Rinpoche has requested that students form a group with a minimum of 3 people. Existing centers are automatically eligible to join, otherwise you may apply to form a Dharma-stream group in your area. Rinpoche emphasizes the importance of gathering as a group for study and practice, as it provides an environment supportive of practice. Dharma-stream donation price for the fortnightly videos and all materials for one year is $120 USD. If this price would cause significant hardship, please contact us to discuss other options. It is our wish to make the Dharma available to all who wish to receive it. As part of the yearly subscription you will be able to view and download each current teaching, and receive a recording of the previous archived teachings as well. From time to time we also facilitate Q&A videos and webinars where group participants have a chance to ask their questions directly to Rinpoche. As already mentioned, the Dharma-stream teachings are to be viewed in a group setting. Group gatherings commence with a meditation session, then the group views the teaching and discusses key points, sharing experiences and views on the topics that Rinpoche touched upon. Dharma-stream Groups serve an important function, fulfilling the “five excellences” of the place, teacher, time, audience and teaching — the optimum conditions for the turning of the Dharma Wheel. There are already many active groups around the world who are meeting on a regular basis. Click here to view a full list of current Dharma-stream groups. If there is no practice center or established Dharma-stream group near you, it is easy to start your own group. Rinpoche has asked that the minimum number for a group is 3 people.